Baltimore County Police are actively searching for a critical missing man who may be lost and disoriented. Jash Gurung, a 35-year-old Asian man, was last seen exiting the Target store at 1330 Martin Boulevard in Essex at approximately 4:34 p.m. after becoming separated from his family members inside the store. He is unfamiliar with the area and has no means for transportation. Gurung has light brown skin, short black hair, brown eyes and a mustache. 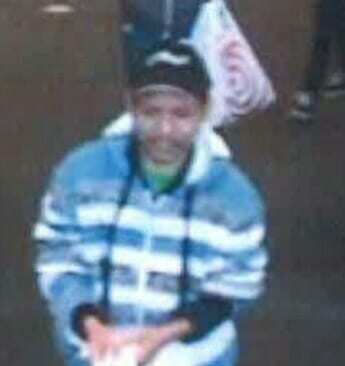 He was last seen wearing blue jeans, a green shirt, a blue and white striped jacket, black shoes and a black baseball cap with an unknown type of white emblem, as pictured. He was carrying a plastic Target bag when he exited the store. Anyone who may have seen Jash Gurung or has any information on his possible whereabouts is asked to contact the Baltimore County Police Department at 410-307-2020 or dial 911.